The Polymath Chronicles: The Parlor and the Kitchen- Basics and AMAZING CONTEST!!!! The Parlor and the Kitchen- Basics and AMAZING CONTEST!!!! First off, I am running a fabulous contest this week, so be sure to scroll down to the bottom for the details!!!! I know that I am often introducing you to new products and gadgets, which is fun for me and, I hope, informative for you. But today, I want to talk basics. I thought I would challenge myself to see exactly what I need and use most often. If I were to come to your house to make dinner, what set of items would I be delighted to find? These are the kitchen tools worth investing in and taking good care of, since they will last you a lifetime. Obviously there are many tools not mentioned here, for example, I am leaving out most pots and pans, since I am sure you have those, and just talking about more specific items. If you would like some guidance on pots and pans in general, feel free to comment or e-mail me and I will be happy to advise! Ample wood cutting board: You need room to move, so be sure to get a large cutting board, you will never be sorry. I insist on wood, since it doesn’t damage my knives, and as long as you clean and maintain it properly, it will never be at risk of contaminating food. I love this board from John Boos, widely considered to be the best maker of cutting boards and blocks anywhere, and the top choice of professional chefs and passionate home cooks alike. 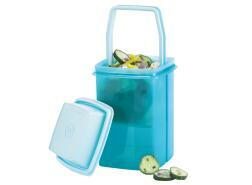 I love this one for sheer functionality… It is called the Aztec, and it does beautiful double duty in my kitchen. The smooth side is quite simply the best cutting surface ever, large enough to accommodate several piles of veggies at once. The bonus of the stainless steel discard tray set right into the board means I can slip peelings and ends and stems and scraps out of my way for easy discard later, keeping things nice and tidy. But one of the best things about this board? Check out the flip side…. How cool is that??? Best carving board ever . You know how most of your basic carving boards never really manage the meat juices properly, and you still end up with a small puddle, or waterfall down the fronts of your cabinets? This one is not messing around. The little pyramids in the middle hold your meat solid for carving, and not only do the ample deep moats cover the juice problem, the little stainless tray that works for your scraps goes underneath and there is a hole so that the juices collect there and can be then whisked into sauces, added to gravies, or used to make a delicious au jus! Those precious and delicious fluids which are usually lost are now safely captured, even if it is just for ease of disposal. If you could ever fall in love with a cutting board, this is the one. Big enough to hold a whole 25 pound turkey, a large watermelon, or a five rib roast easily. And pretty enough to bring to the table for carving. Easy to maintain, and truly the last board you will ever need to buy. They also make fantastic smaller boards if you want to have a variety, and this really cool herb chopper that I love! Three really good knives: I know most people say two, a paring knife and a chef’s knife, but I add in a good serrated knife for cutting breads and roasts. For years I was a Henckel’s girl, and Charming Suitor was a Wusthof guy. We might dabble with the occasional Japanese veggie knife here or Chinese cleaver there, but when you look at both of our ample (read: ridiculous) knife collections, we are pretty much set in our ways. Until MAC. The knife of choice for many of the chefs we respect and admire most, Thomas Keller at the top of the list, once we tried them we were blown away, and are complete converts. Not that the Henckel ’s and Wustof ’s are suddenly terrible…they are still very well made and completely fine. They just aren’t quite as mind-blowingly extraordinary. If you are at the place where it is time to invest in good knives, I hope you will check them out. If it is time to replace some good knives that are beyond their prime (maybe the ones you have been washing in the dishwasher, you know who you are!) these are the next level. Great gifts for foodies and the best cook in your life. Perfectly balanced, beautiful and functional. Gorgeous to look at and a dream to use. Sharp as the dickens, which is the best way to prevent kitchen accidents. I have the 3 ¼ inch parer , the 8 inch pro chef's knife with dimples and the 10 ½ inch serrated . With these three I do not need any others. They do the delicate work easily, and still have plenty of muscle for the serious stuff. I, of course, as much as I do not NEED any besides these three, would like to collect ALL of the other sizes and shapes, because as we know I am a Gemini, so I am always of two minds about things. But I cannot recommend them enough, once you go MAC you will not want to go back! Kitchen Twine : Truss a bird, tie a roast, keep the bouquet garni from getting lost in the pot. I am always shocked how often I reach for the cotton kitchen twine. I keep mine under an overturned small flowerpot, which keeps it clean and at hand, and the hole is a very useful way to be able to measure it out without the whole ball skittering across the floor. The Kuhn Rikon Swiss Chop Chop . As mentioned before, I have tried many and this one is the best of the bunch, really handy for basics like onion, shallots, garlic and herbs. It has become indispensible. (a birthday gift from my pal Tracey, and the best addition to the arsenal!). Everything from searing meats, to making cornbread to the best caramelized veggies you will ever make. Very affordable, easy to season, and fantastic to use. Lodge is the absolute best, having been making cast iron pots and pans since 1896! And they have a great collection of sizes and shapes…I’ve been collecting for years. Plus they go from the stove to the oven without a problem. Awesome! Over-sink colander : This stays out all the time, it is insanely useful for everything from washing fruits and veggies to draining pasta and potatoes, to serving as some extra drying space. Tongs : I have regular metal ones, and the ones that are safe for use with non-stick surfaces, in a few different sizes. Spoons and spatulas are great, but I find that no other tool is as useful. Wooden spoon: I love this one from Jonathan’s Spoons , it is substantial and ergonomic in the hand, and the little built in rest is so lovely, allowing it to just sit right on the side of your pot. 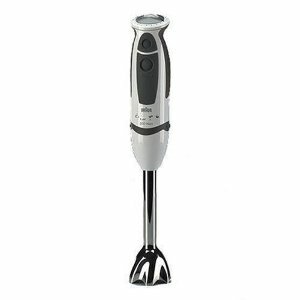 Braun Immersion blender : This thing gets a crazy amount of use, the best for fast salad dressing, instant homemade mayo, emulsifying sauces and pureeing soups, whipping cream. I probably use it at least 3-5 times a week, and for entertaining, probably 5-10 times for one meal! Invest in a good one with a large variety of speeds and your life with be infinitely easier. 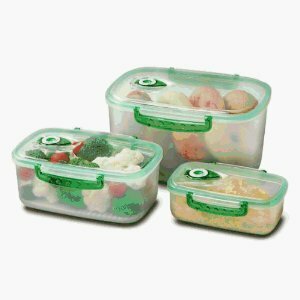 Good storage containers: I love the glass Snapware and the plastic Freshvac for a lot of my food storage, both have sturdy snap on all sides tops, and are dishwasher safe. The glass Snapware looks awesome in the fridge, and is pretty enough to transport to a potluck and double as a serving piece. 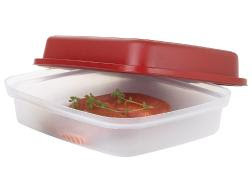 The Freshvac is good for storing delicate foods that have a tendency to go bad quickly, and are great for taking leftovers, since the special lid also means you can vent for reheating. You can vacu-seal wiht a few presses on the lid, and there is even a handy date dial on the top so you can always know when you put something in the fridge or freezer. and my mom still uses the two-sided marinater that she got sometime in the late 70s. I particularly love their new series Stuffables with the flexible lids that accommodate food that is just slightly too big for the container. You know me, abundance rules! Sink helpers: I have a dishwasher, but there are still things that have to get done by hand. 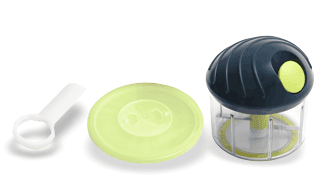 The two things I really love right now are both from simplehuman …they sent me their sink mat, fantastic for washing things like wineglasses and other delicate items without concern, and their sink organizer, which is keeping my sponges etc. organized and at hand. 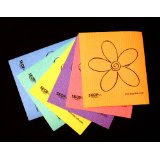 Skoy Cloths : These are the best re-use rags I have found, plus they are eco-friendly! One cloth will do the work of 15 rolls of paper towels, they are 100% biodegradable (and compostable, if you are into that), but best of all, they are machine washable! Use them dry to pick up spills, and wet to wash things. Genius. Bleach water: ¼ tsp of bleach in 4 c of water. I put it in a spray bottle, and use it for counters, my cutting board after using it with raw meat, and especially the kitchen sink, which can harbor more germs than any other place in your kitchen. You know I am a stickler for food safety conditions, this is a cheap alternative to “anti-bacterial” products, and works simply and effectively. What are your go-to can’t-live-without kitchen items? Some of the companies I have mentioned on the blog have been generous enough to send me some lovely items to use for giveaways, and I have put together a big package for a special prize this week…. What a fantastic contest! I love the products you've described!!!! Okay, I'm going to pre-order my book now....I don't have any of these things in my kitchen. Plus, your book sounds like a lot of fun! was going to order the book anyway, so now I've got an incentive - no Kindle version? - ok, I just pre-ordered it. really interested in the cutting board and have been on the market for a serrated knife to go with my 2 chef's knives (1 for me to use and 1 for my husband - since we prep a lot of meals together), Thanks for the tips. You had me at "large watermelon!" love this blog. I can't live without my salad spinner for getting extra water out of spinach. We love spinach!! i'm drooling over all the kitchen stuff! i am obsessed! I'm getting married in a few weeks and my fiance actually had to start vetoing kitchen stuff i wanted to register for. not because it was expensive or anything, but because apparently what i was picking wasn't "necessary" HA! what does he know? Just came over from Jennsylvania, and wow! I love this review of products and would love to hear more... I'm about to dive fully into your site and go spelunking for more kitchen gems. I just got married and moved from a tiny New York apartment to a place with an actual kitchen (I can open the refrigerator, the oven, the dishwasher all at the same time! I can WALK in this kitchen instead of just standing!). We have all these new kitchen gadgets and gift cards to round out our supplies and this is just the type of advice I need!! Thanks! I wish I could enter, but budget constraints don't allow for ANY discretionary purchases including entertainment such as your new release, Good Enough To Eat. I am a fan however. I do put purchase requests in at the library and plan to issue one for your book. Please consider offering an ARC as a prize for your less fortunate fans that cannot afford to purchase their own. I am a 'read-a-holic' and it kills me that I can't afford to purchase books to support my favorite authors. I do however encourage(read as badger/hound/torment relentlessly) my local free library to purchase copies of their works. May the good Lord bless your book sales. By the way, I am going to follow this blog because I am a kitchen utensil junkie. I have a special 'thing' for knives. My 18 year old daughter worries over my obsession with knives, especially if her daddy's pulled any bonehead stunts lately. Oh wait, the cutting board isn't a prize...may order one anyway! Could not get through the day without my Boos Block. Clicked over here through Jen. Damn,damn,damn.. Why is it that I am always the last to arrive to something stellar, and worse yet...with chocolate syrup stains on my white t-shirt?? Ugh! This is an awesome site, and yes, I too arrived here via the notorious Jen Lancaster!! (Thanks Jen - I do so owe you for this great find) Now another great blogspot to keep up with! I have to say that I 1000% agree with some of your choices.. I have had Lodge cast iron cookware for years, and yes mine has been hand-me-downs. Jonathan spoons I thought were almost thee most well kept secret except for the avid Rachael Ray'ers out there... John Boos cutting boards are soooo well worth their investment total ^^5^^ on those as well. 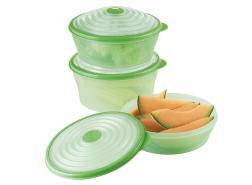 I would also like to say that Snapware and Tupperware are about simply amazing when it comes to food storage products.. So, in short, I will be here to read each and EVERY new blog that you write with baited breath from now on. Who knew? I should have never left Chicago years ago, it was a HUGE mistake. Wow your article very informative. Thank your for sharing.